And it really is. 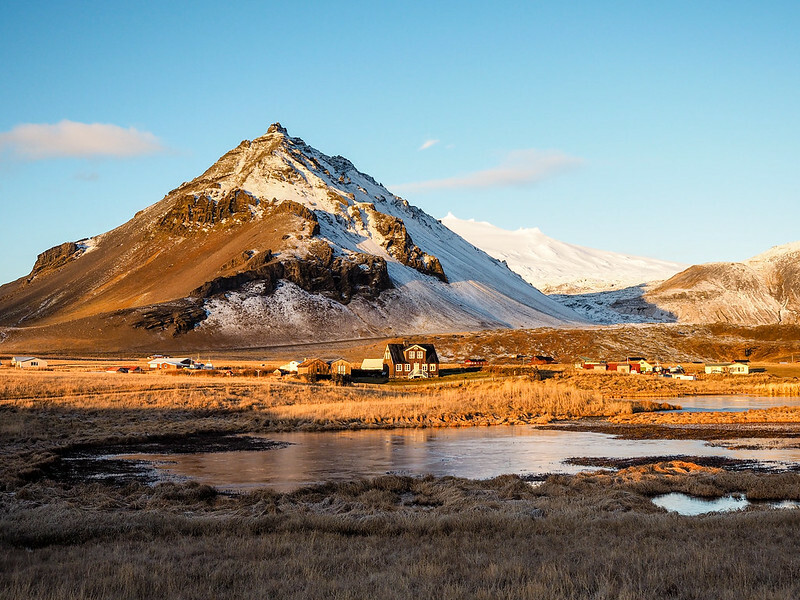 With a crashing coastline, natural hot pools, basalt columns, volcanoes, fluffy horses, and glaciers, the Snaefellsnes Peninsula really does encapsulate just about everything Iceland is known for within a 90-kilometer-long peninsula. 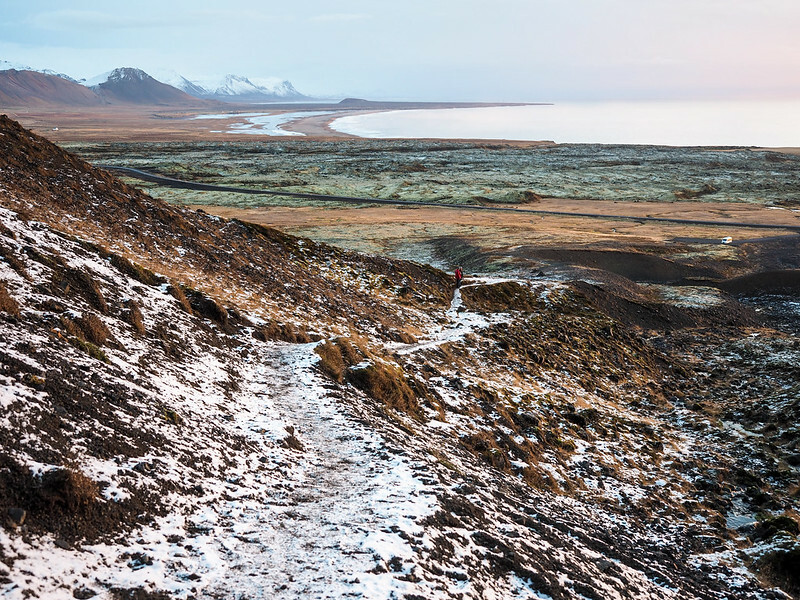 The peninsula also embodies some of the non-visual characteristics of Iceland, too: small, cozy hotels; fresh seafood; an adventurous spirit; and the reminder of just how wild and harsh Mother Nature can sometimes be. 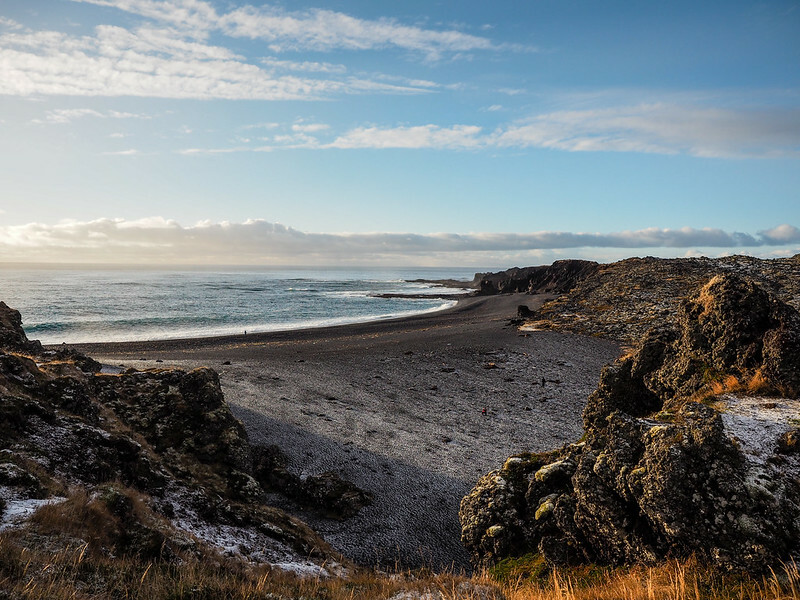 We stopped at beaches bearing the ghostly remains of shipwrecks, walked along crashing coastlines, descended into caves formed by molten lava, and listened to our guide talk about the startling retreat of Snaefellsjokull – a giant glacier that sits atop a dormant volcano on the far end of the peninsula. At the rate that the glacier is receding, scientists predict it could completely disappear in the next 30 years. When I first went to Iceland in 2012, I admit that I knew very little about everything there was to see in the country beyond the Blue Lagoon and Golden Circle. I didn't even hear of the Snaefellsnes Peninsula until after I'd already returned home. So, on my second trip, I vowed to see “Iceland in Miniature” for myself. I think it's my new favorite part of Iceland. 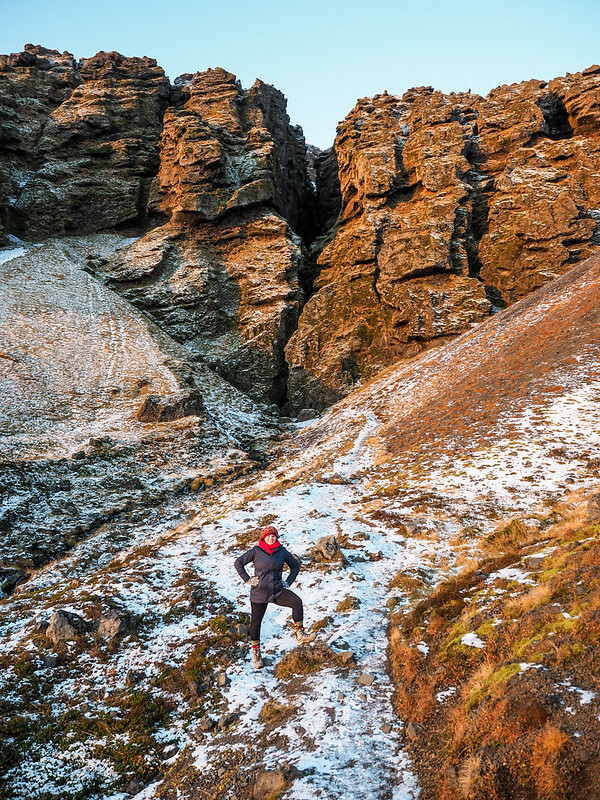 Winter days in Iceland are short. But they are short because the sun never rises very far above the horizon – which means that while the overall days are short, the sunrises and sunsets are long. 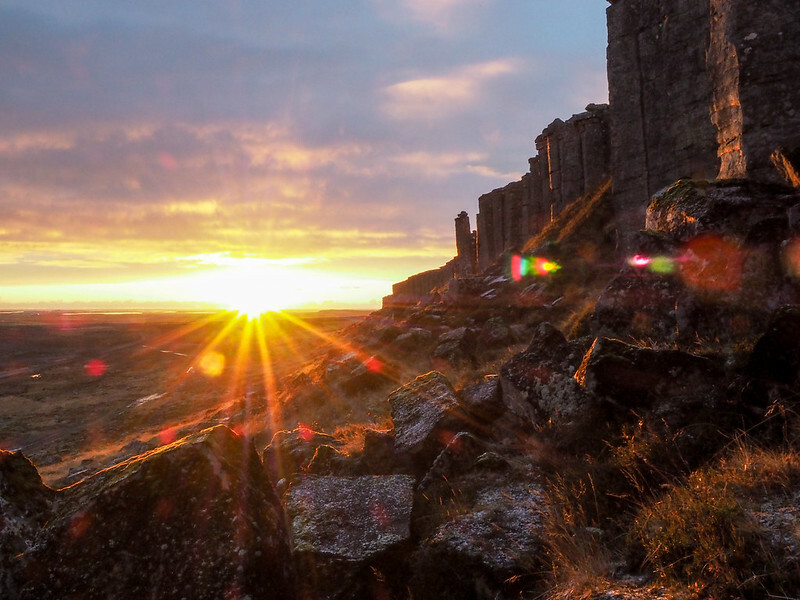 One of our first stops on the peninsula was during one of these long sunsets at the Gerðuberg basalt columns. The sun popped out from below a cloud bank and then hung there, tossing out shades of orange and pink, for roughly three times the length of an average sunset. 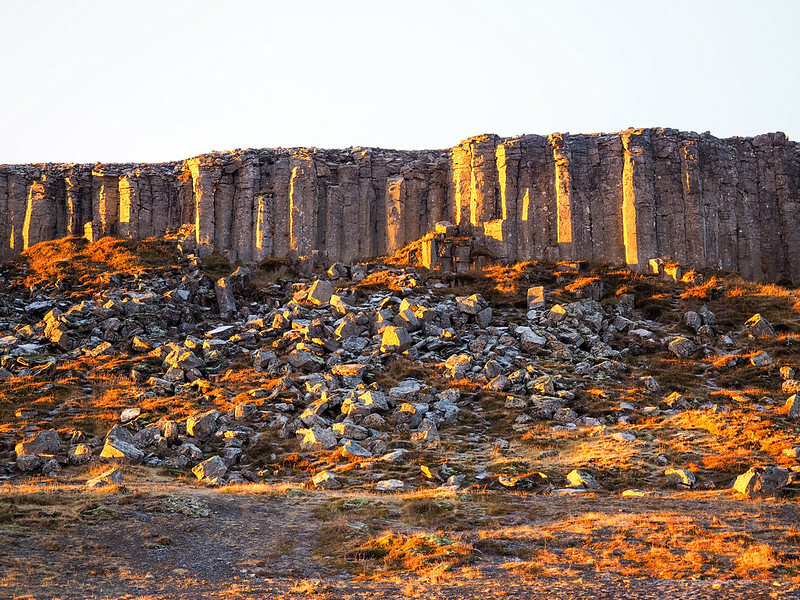 It turned the wall of basalt columns orange as we hiked up into them. 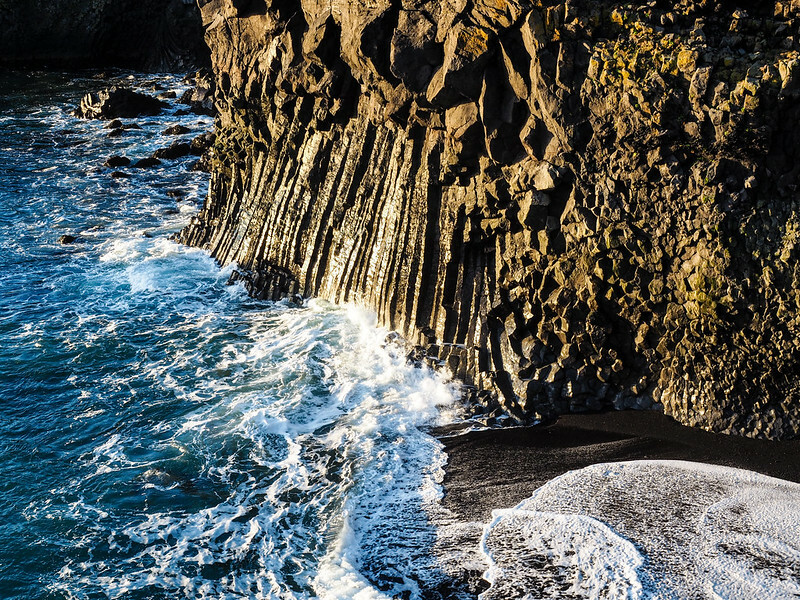 These columns were formed by cooling lava, and you can find similar formations like this all over Iceland. Sunrise the next morning was equally long and colorful, painting the landscape pink as we made a stop at “the Crack,” or Rauðfeldsgjá Gorge. You can climb into the crack, where a small stream runs out from further up in the rocks. 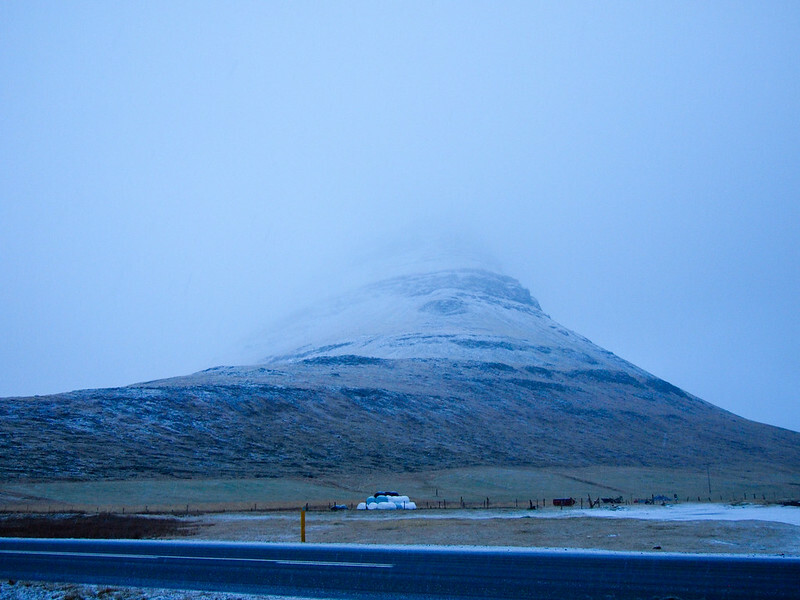 With a dusting of fresh snow, it really was quintessentially Iceland. The Snaefellsnes Peninsula has no large towns. Instead, there are a bunch of little fishing villages dotted along the coast. We stopped at Arnarstapi, a popular summer escape for many locals and tourists and traditionally a decent-sized port in Iceland. In the winter, the village is nearly deserted – but that was just fine as far as we were concerned. The landscape here is just stunning. 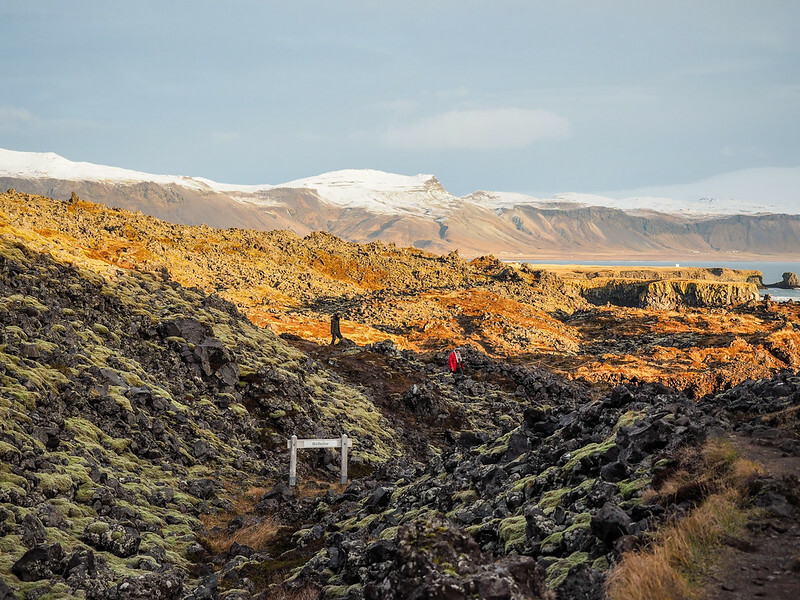 From Arnarstapi, we hiked along an old horse trail that leads 2.5 kilometers along the coast and through the Hellnahraun lava field to another small village called Hellnar. The hike takes about an hour, during which I put my new camera to work, snapping photos of everything from sea caves and arches to tumbles of lava rock. 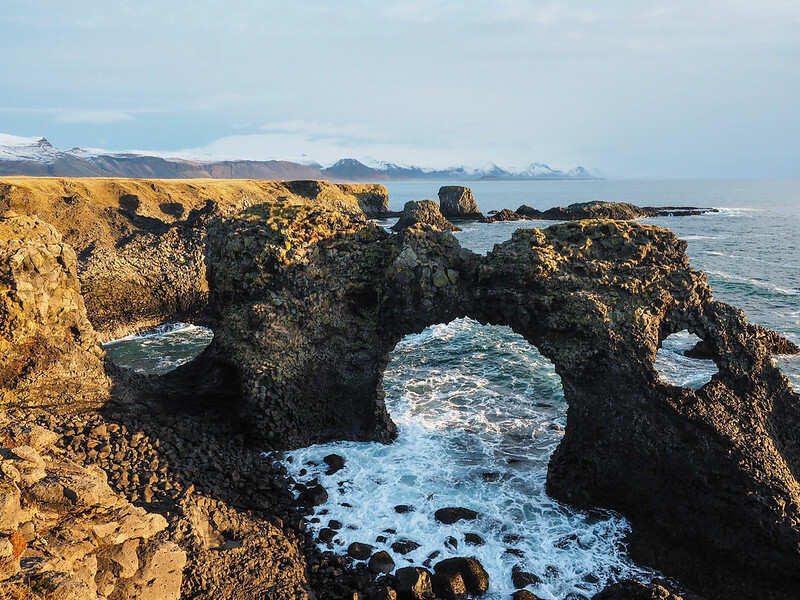 Fun fact: The Snaefellsnes Peninsula is the setting for the beginning of Jules Verne's “A Journey to the Center of the Earth.” In fact, they find the tunnel to the center of the earth beneath Snæfellsjökull, the peninsula's famous glacier. Vatnshellir lava cave, therefore, is popular for a couple of reasons. First of all, it's a cave beneath a glacier that was carved out by molten lava. Secondly, it has a lot of legends surrounding it, including being the home of trolls. And, thirdly, the locals say that this is where you'll find the passage to the center of the earth – in fact, there's even a cheeky sign inside pointing the way! 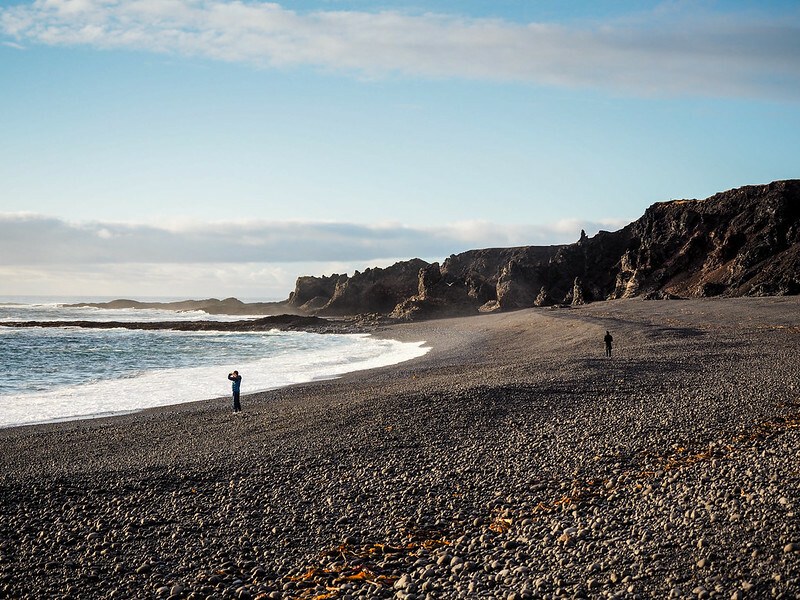 If you want proof of the awesome power of Mother Nature in Iceland, look no further than Djúpalónssandur beach. 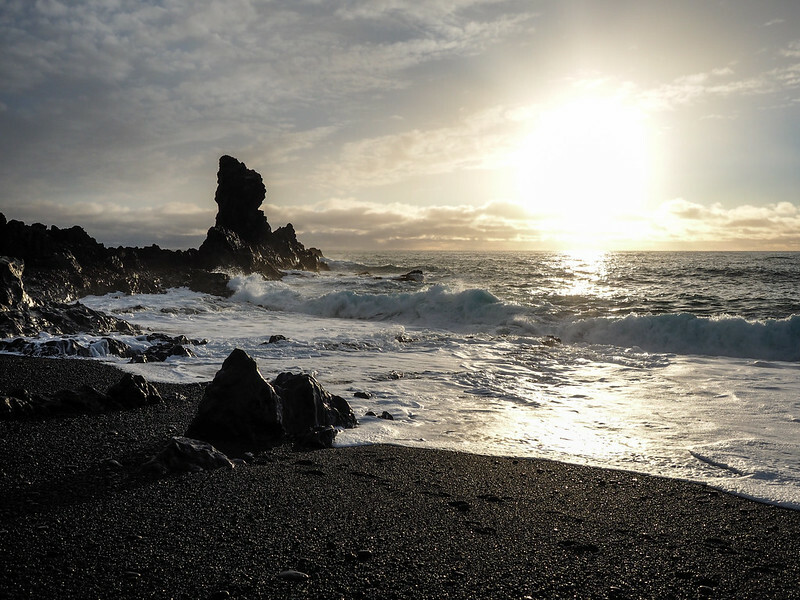 This black sand/pebble beach at the end of the Snaefellsnes Peninsula is known for wicked waves and currents that have claimed more than one ship throughout history. 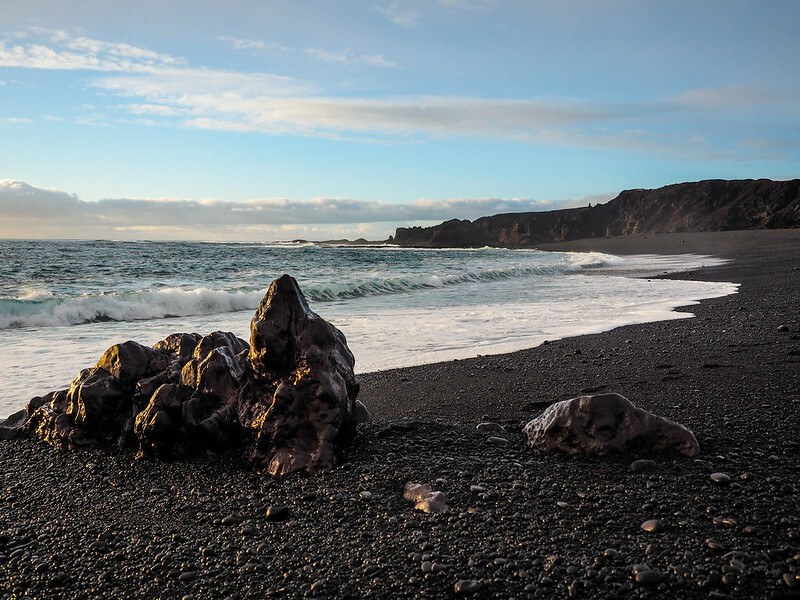 The evidence of shipwrecks can still be seen scattered across the wide swath of black sand, and the waves breaking on shore are definitely powerful enough to make you think twice about getting too close. Heading along the northern coast of the Snaefellsnes Peninsula, the top attraction by far is Kirkjufell, or the Church Mountain. This is the mountain you'll see on all the postcards – kind of cone-shaped and usually with waterfalls in front and/or Northern Lights dancing overhead. Unfortunately for us, the good weather we had on the south side of the peninsula didn't follow us north, and the mountain was shrouded in sleet and clouds by the time we got there. I'll admit that I was a bit bummed by this, but after everything else we’d seen and done on the peninsula, my disappointment didn't last long. Guess I'll just have to go back to Iceland again! The Snaefellsnes Peninsula is within easy driving distance from Reykjavik, and the roads are well-maintained in good weather (if a bit narrow). Therefore you could definitely rent a car and see the peninsula on your own time, perhaps keeping an eye out for good weather – it can be completely different depending on which side of the peninsula you're on. If you don't feel comfortable driving yourself (or if you're going in the winter when the roads might be a bit iffy), there are plenty of tour options, too. Elliot and I ended up booking a two-day tour from Reykjavik with Extreme Iceland. 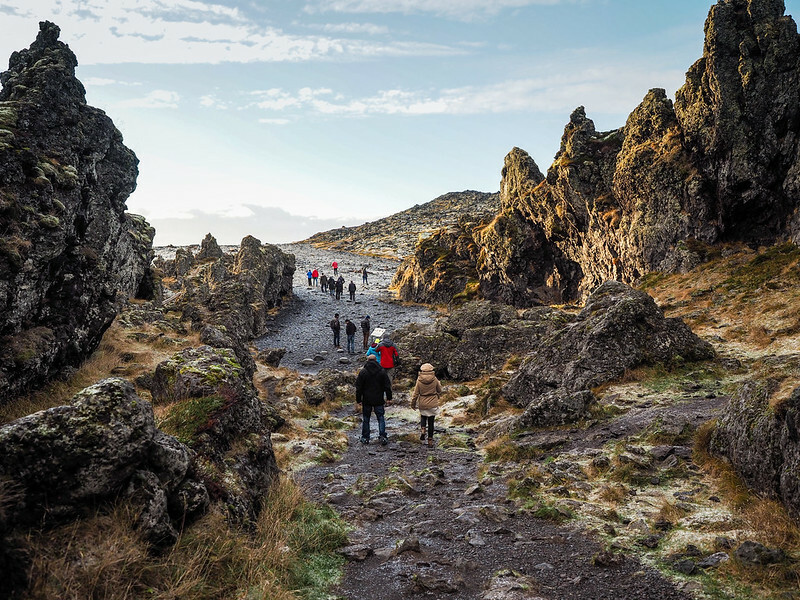 Their “Snaefellsnes Peninsula and Auroras” tour is a winter-specific tour to take in the best of the peninsula and possibly spot the Northern Lights if conditions are right (it would be easy to see them from your hotel window at night). We didn't get lucky enough to see the Northern Lights, but we DID really enjoy the small-group tour. They even come pick you up from your hotel in Reykjavik. 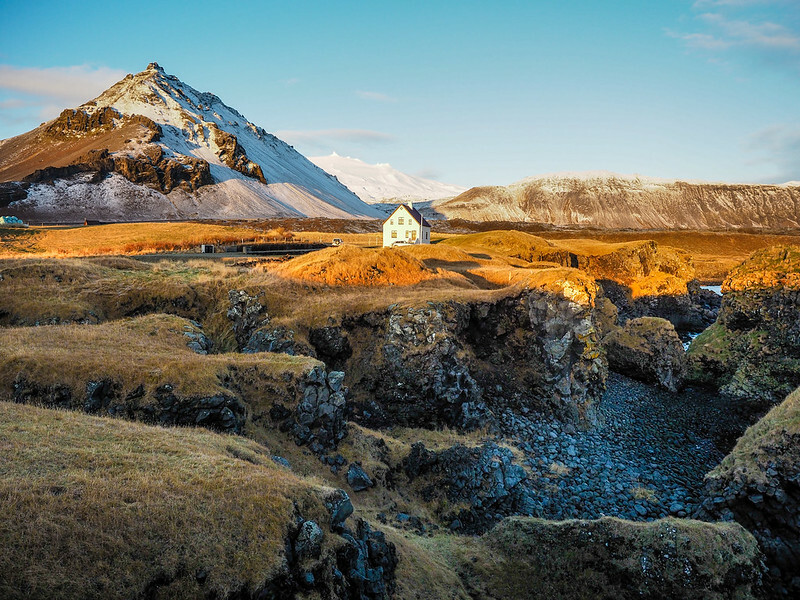 Have you ever been to the Snaefellsnes Peninsula? If not, is is somewhere you'd like to visit? *Note: Extreme Iceland gave us a discount on this tour. But, as always, all opinions are my own! I was there in June and absolutely loved it. The weather was awesome that day – I was very fortunate as I got some fabulous shots of the arch AND Church mountain. (the day before and after were dire however…for my second time doing the Golden Circle I got rain rather than the snow I got two years before…do I give up or keep trying to get some sun?!) 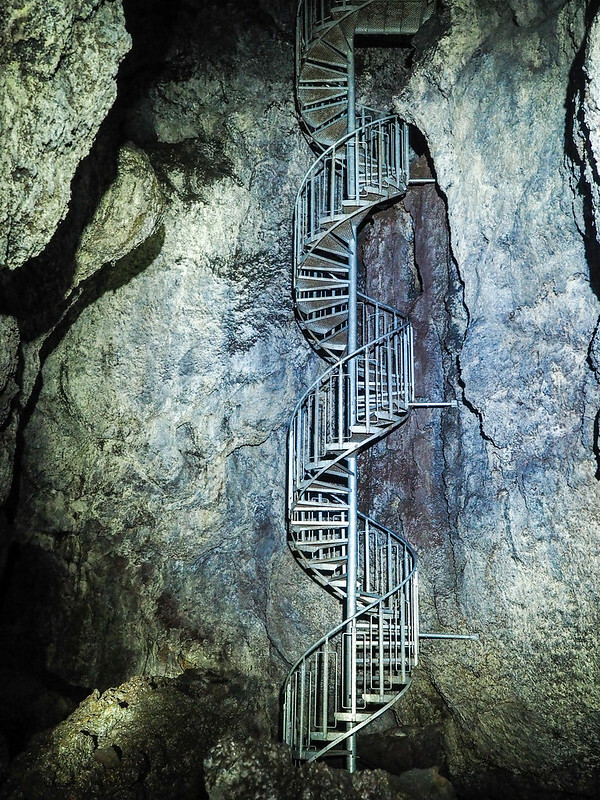 I do love the idea of your two day trip though as more time for exploration and I love the look of that hike….the cave not so much 🙂 …. Can’t wait to read more about Iceland and your Rhine cruise! I would love to visit Snaefellsnes Peninsula! 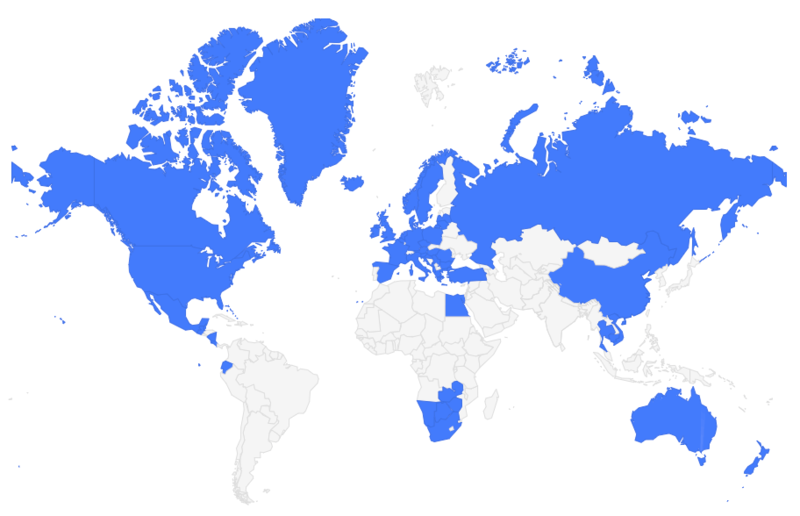 Well, Iceland in general;-) Planning to go in 2016… Would be totally amazing! Yes! And you could *technically* tackle it in one day (there are some tour companies that do 1-day trips, too). Though I would definitely recommend at least two days so you can spend enough time at each stop! Love love love this post and all the gorgeous photos! What’s your new camera? I skipped the peninsula in favor of the Westfjords on my Iceland trip last year (silly, silly me), but I’m absolutely dying to get back and do it next time. Good thing it’s reasonably close to Reykjavik! I’ve never been to the Westfjords, though! Definitely on my to-do list for my next trip there, maybe in the summer! I’m so glad that you were able to visit the Snaefellsnes Peninsula. Often when we travel, we don’t find out about wonderful places we could have visited until afterwards. Lovely images of the mountains and great advice about how to explore the region. Thanks, Rashaad! I’m really glad I got to visit, too! Wow your photos in this post are so breathtaking! I have dreamed about visiting Iceland for years, but I somehow have never heard of “Miniature Iceland”. I’m so glad I read this post, as I now have something else to add to my itinerary. 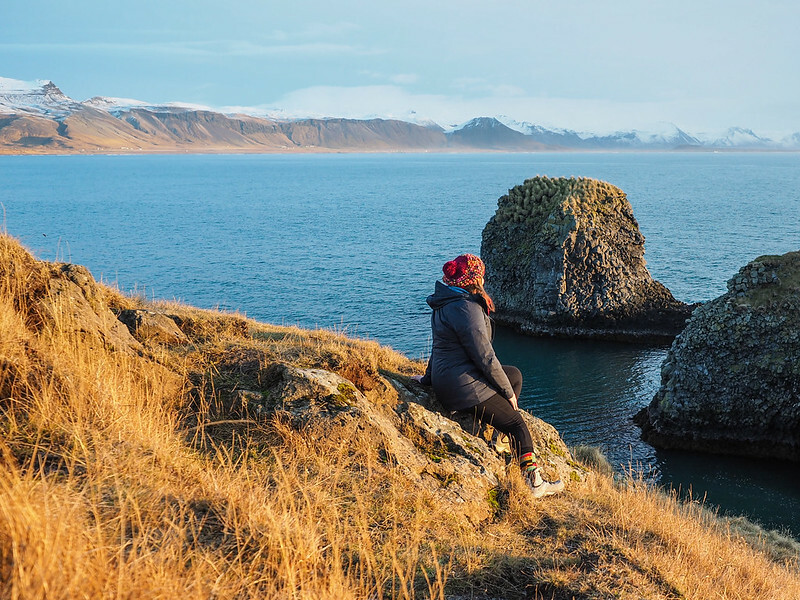 There are so many things to see in Iceland that I think a lot of people skip the Snaefellsnes Peninsula – but it definitely deserves to be on your itinerary! You’ve catched some amazing photos with the sunset in Snaefellsnes, but all your photos are amazing. 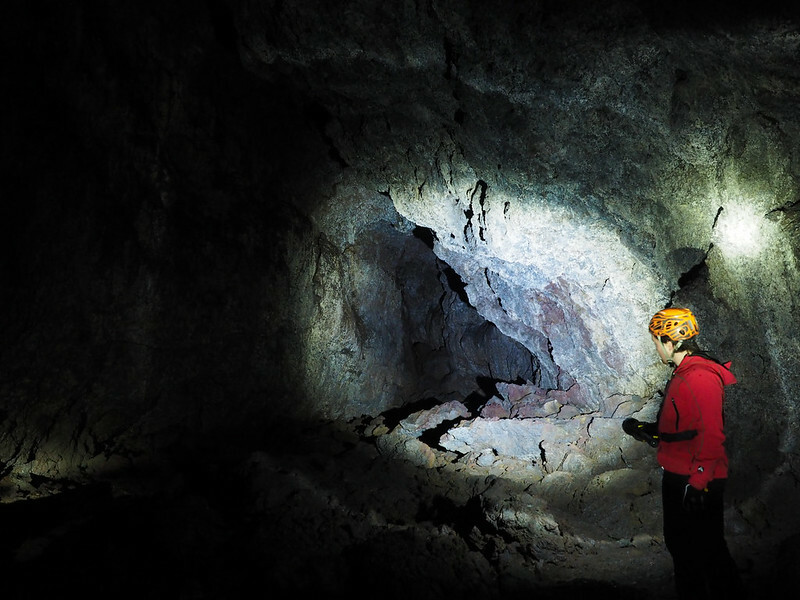 Vatnshellir lava cave looks scary, not a place to enter if you are scared of dark and narrow places…. like I am. Thanks! And yes, the cave wouldn’t appeal to everyone. You do have flashlights, though, so it’s not pitch black. But still quite dark! Terrific pictures and great tips! I would so love to see Iceland one day! Thanks, Arti! Hopefully you’ll make it there! Wow! I can’t believe such a small peninsula is home to so much beauty! I know! Iceland sure does pack it in. Really great – I don’t know much about Iceland, but if I ever make it there, I would definitely include this peninsula on my itinerary! I love the idea of long sunrises and sunsets, too! It’s a pretty fascinating country! And this peninsula is definitely my new favorite part. Awesome! Iceland is definitely worth it. So much wild, open space there. Oooooh I want to visit Snuffles. It looks so beautiful. Someday I will live in Iceland I thinks. Iceland has definitely turned into one of those places that I know I’ll go back to again and again! What a beautiful post! The light in some of your photos – it’s just gorgeous! I just got back from Iceland a week ago. It was my first time, and even in the middle of winter, it was beautiful! I already want go back and explore this area in the summer months, in addition to going back and seeing what I already did in winter, as the landscape is completely different during the 2 seasons. Thanks, Susie! 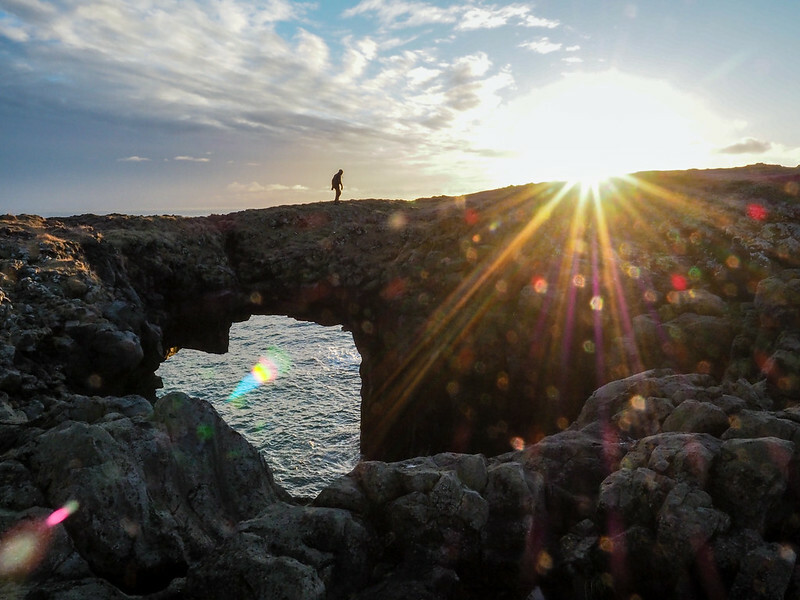 I definitely can’t take credit for the light, though – that’s all Iceland! 🙂 I also need to go back in the summer… eventually. ‘Love the wilderness of the region and it’s relative isolation status. ‘Can’t wait to visit and see for myself. Great photos as usual Amanda! Thanks, Victoria! This is definitely a part of Iceland worth seeing! Impressive is understatement. Do you feel you could have invested longer than the 2-day tour and had plenty of outdoor recreation to jump at? Yes, I think so! There’s plenty to do on the peninsula, and we could have easily spent more time at all the places we stopped. I LOVE this part of Iceland. My mom, sister and I did a two day road trip around the peninsula and we adored it. We stopped in some adorable towns, snowmobiled on a glacier, and even saw some gorgeous art. It was amazing! Great mini taste of Iceland. I don’t really see how you could visit Snaefellsnes and NOT fall in love with it! 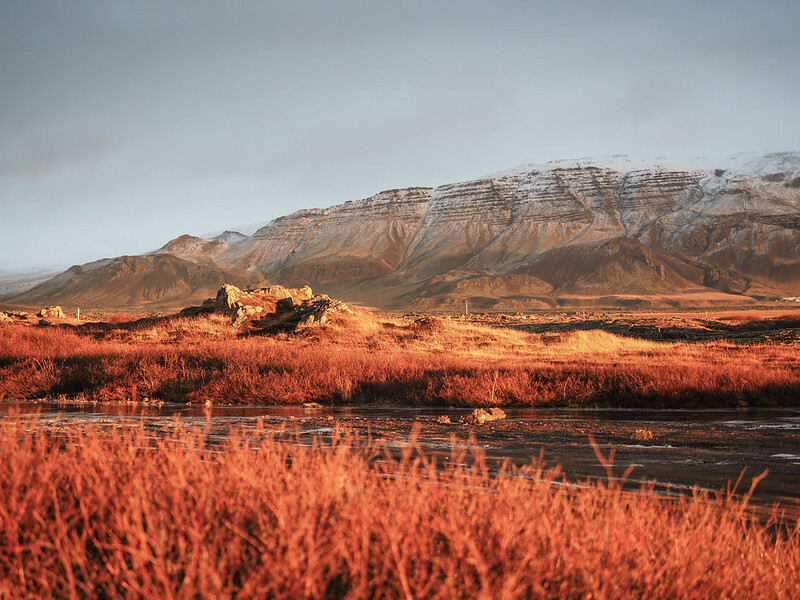 Your blog totally makes me want to go to Iceland! I’ll have to add it to my list. 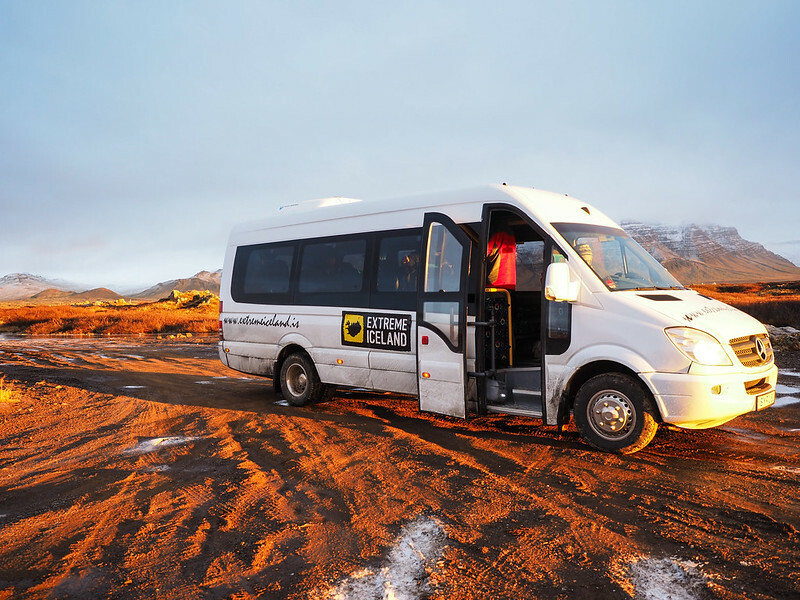 The Golden Circle is definitely the bread and butter of Iceland, but I personally preferred the Snaefellsnes tour, simply because you saw such different landscapes. The geysers in the Golden Circle are very cool, but if you’re looking for a slightly more active adventure, I’d say Snaefellsnes! Any Golden Circle tour you do will really just be a series of photo stops. thanks for the advice. in looking at their website, i do not see this particular tour offered. i will drop them an email to see what is available. thanks again. 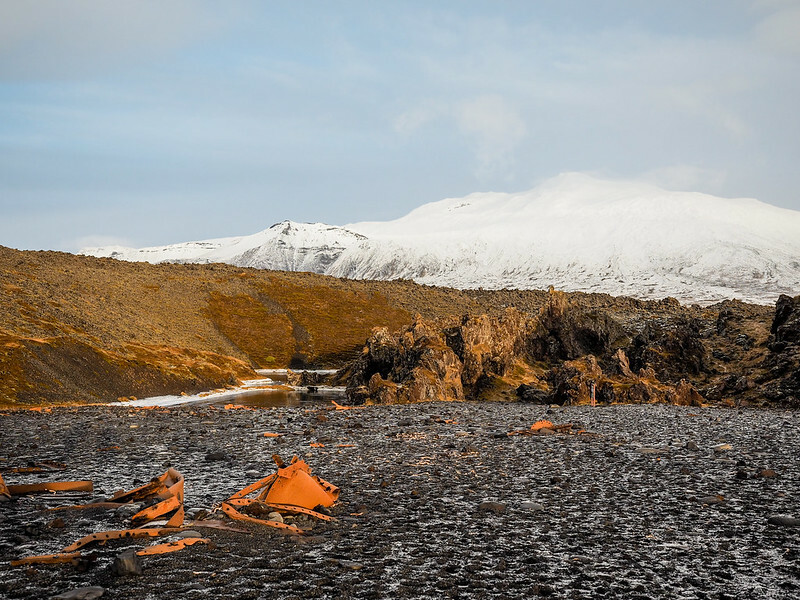 the more i look at the golden circle, the more i thought of just exactly what you were saying…photo stops with lots and lots of other people. i am not wanting to be touring with 3,584,397 others at the same time nor do i want to be doing a large bus group experience. however, travelling with just the two of us, it has been a challenge searching for 1) a tour out of keflavik without having to get to reykjavik and 2) a tour of not more than 20 people. not an easy task so far. The tour is linked at the bottom of this post, but only runs September-April. It also leaves from Reykjavik. 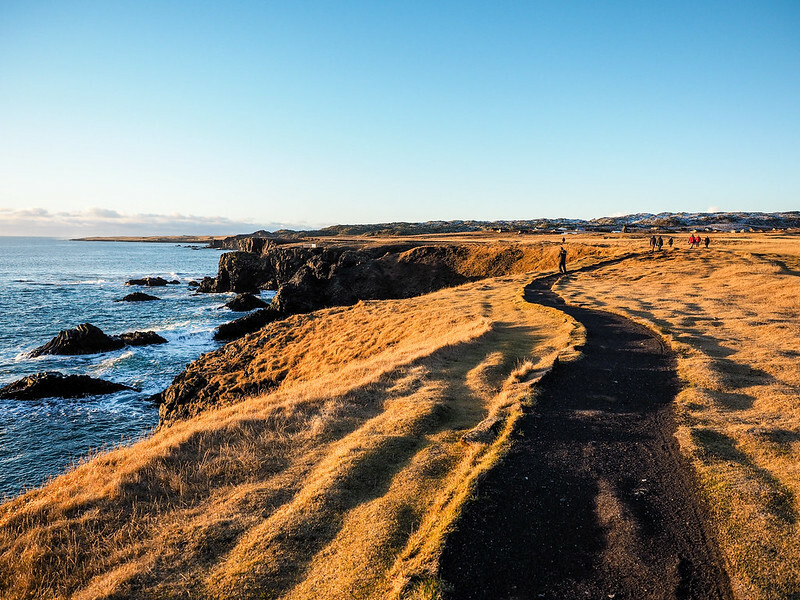 You may indeed have trouble finding tours leaving from Keflavik – have you considered just taking the bus into Reykjavik, and then trying to catch a tour from there? indeed, i am guessing that is what i will need to do. i have contacted the hotel we intend to use, but they were of no help. they stated there is an excursion desk at the airport and that they did not have any info on excursions from there. lol. am using this particular hotel because it is walking distance to the airport which has become the most important thing for us. so, to keep searching…also, wow. the prices of these things. some of them are outrageous. There are a few tour companies that have desks at the airport, but I honestly don’t know if any of them offer tours FROM the airport – most everything leaves from Reykjavik because the airport is kinda in the middle of nowhere! 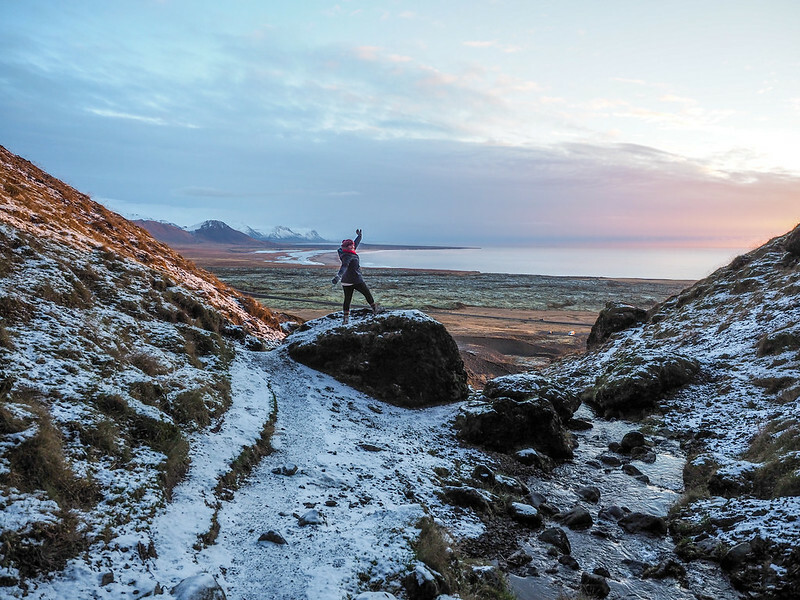 And yes, activities in Iceland can be pricey – it is a Scandinavian country, after all! I’ll be in Iceland for the first time in the first weekend in April. Snaefellsnes is definitely on my agenda. Thanks for the tips! Awesome! I hope you love it as much as I did! I just got back 2 days ago… What a beautiful place! 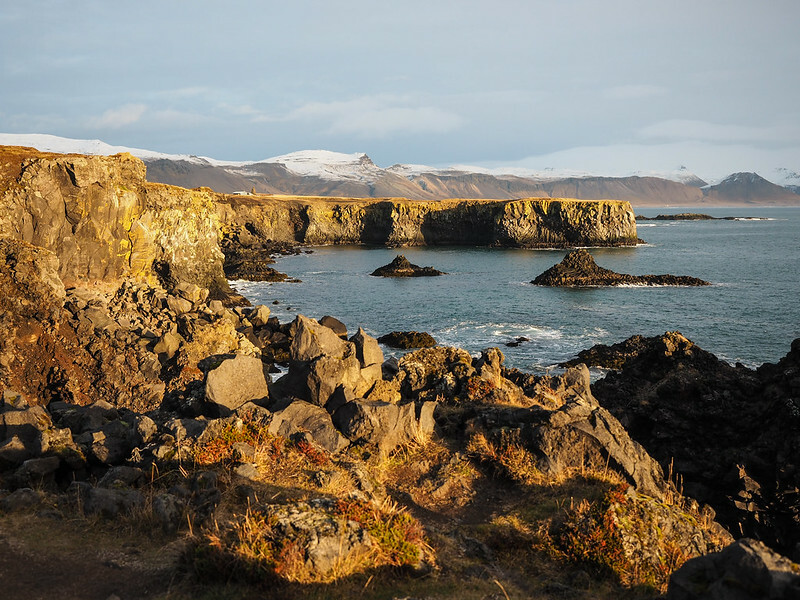 I had one full day on the peninsula (2 nights, we stayed in arnarstapi)… We could totally have done more! 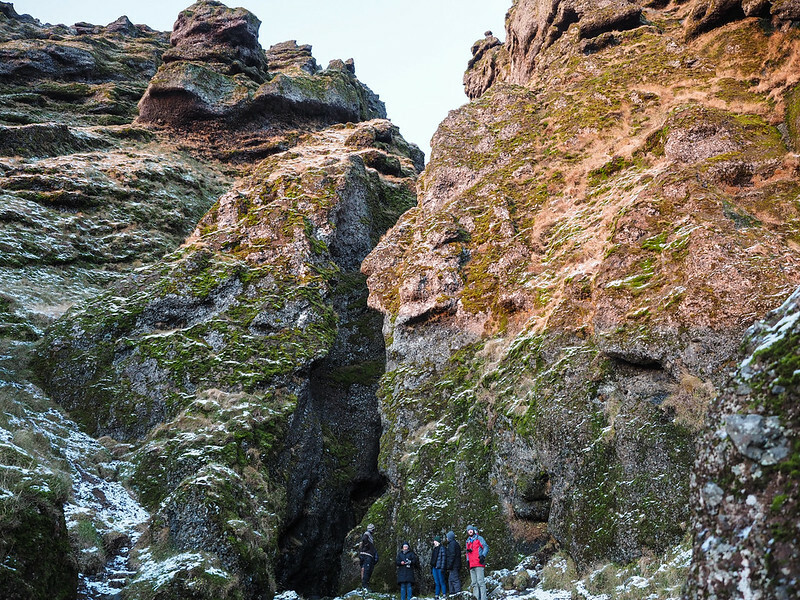 I’m so bummed I didn’t do the walk between arnarstapi and hellnar…. We had pretty nasty weather plus ran out of time so I only got to see the stapi side. And we didn’t see the northern lights 🙁 I will be back sometime in the summer probably with my hubby in tow! Want to do the whole ring road next time if we can. That Iceland weather sure can be fickle! But I’m sure you still saw some awesome parts of the peninsula!